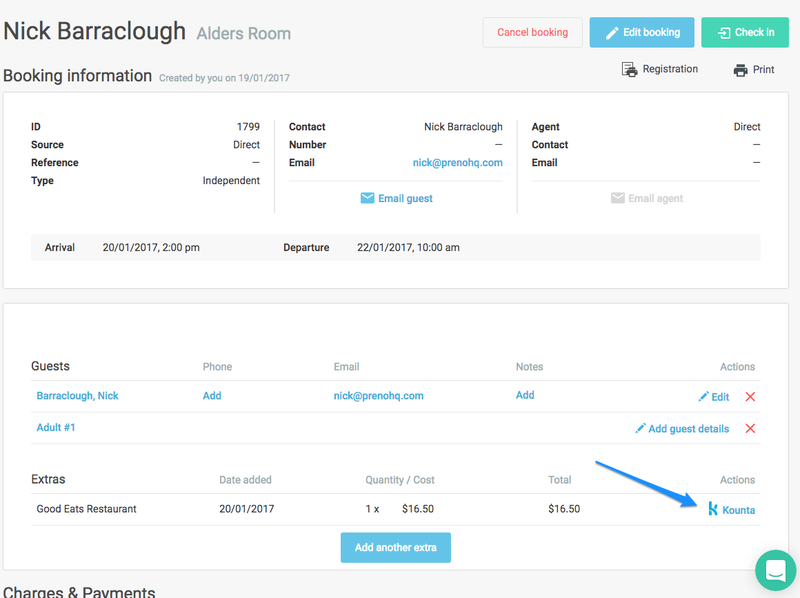 To use 'Bill to room' as a payment type in Kounta, start by adding a customer (guest in Preno) to the transaction. The guest must be checked in for you to add them to the transaction. Press the Magnifying Glass that says 'Preno'. 3. Kounta will return with the name of the guest that is currently checked in. Note: if the guest is not checked in, or if today's date is not within the date range for their reservation, then the search will be empty. 4. When the guest's name appears, press on their name, and then press Save. 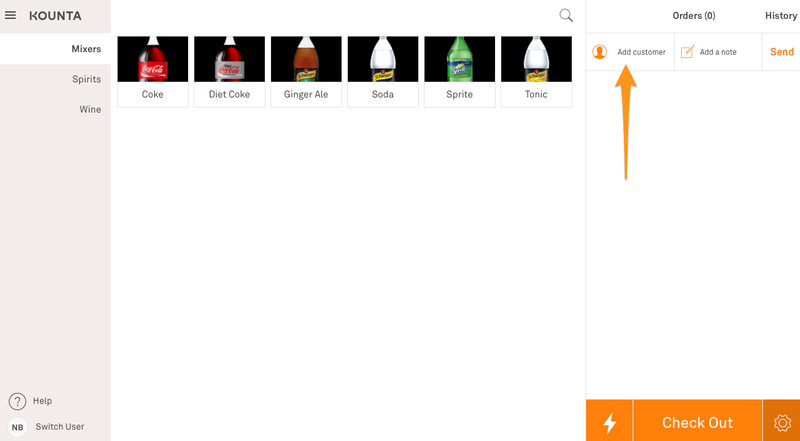 Once you've added the Preno guest to the transaction, just add their charges (like drinks and food). Where it says "Gift Card Reference", we suggest entering the name of the staff member who is completing the transaction. The charges will automatically be sent to the guest's booking in Preno. The charges are associated with the room. For group bookings, the bill to room charges will be assigned to the room. 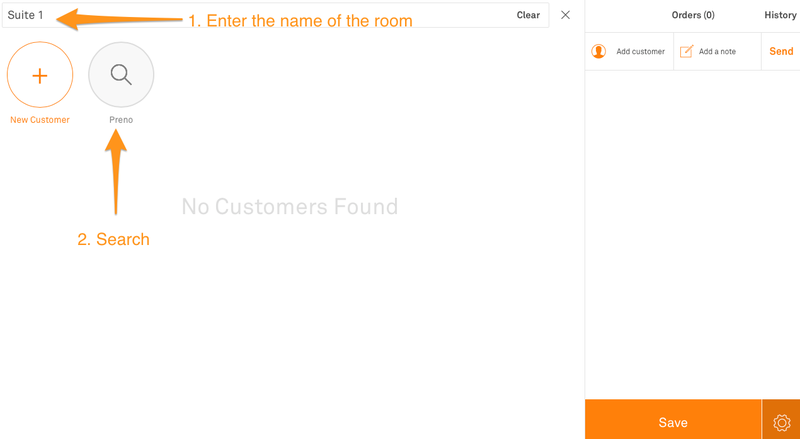 You can view additional details about the Bill to room charges by clicking on Kounta actions.